Are you reading Insufferable? It’s a weekly web comic by Mark Waid and Peter Krause about a crime-fighter who’s sidekick is really annoying. Sorta. This entry was posted in Comics and tagged webcomics on August 30, 2012 by Dotan Dimet. 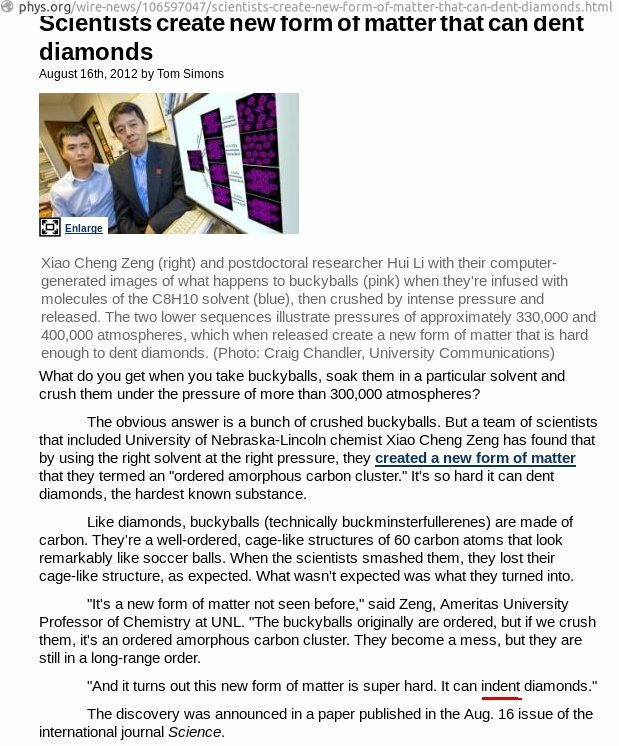 This entry was posted in Blather and tagged buckyballs, diamonds, screencap, typo on August 23, 2012 by Dotan Dimet.